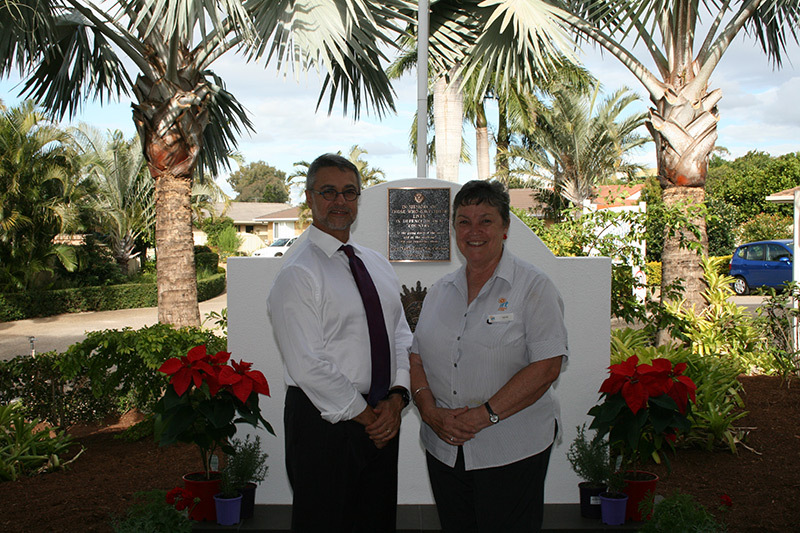 IRT The Ridge has a new Anzac memorial, thanks to the dedication of Lifestyle Officer Kaye Ross. 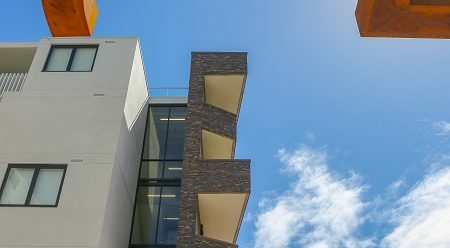 When IRT The Ridge’s new Anzac memorial was dedicated on 6 June, it marked the culmination of a three-year labour of love for Lifestyle Officer Kaye Ross. 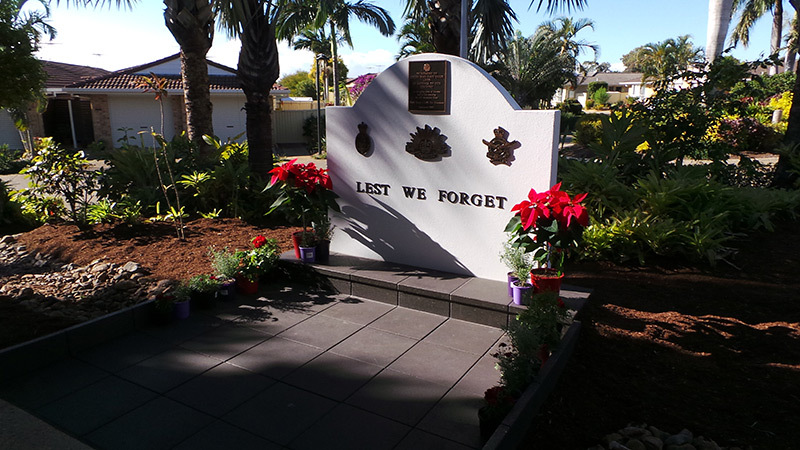 After she organised the 2015 Anzac Day service in the Community Hall, she decided the Community should have its own memorial wall. 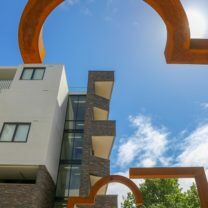 “I thought ‘we should have a proper memorial’ and that’s how it started two and a half years ago and now it’s finally been built,” Kaye says. “Most people my age – I’m 70 – are children of returned service people, even if we weren’t one ourselves or married to one. Kaye was inspired by her own family history; close to 80 members of her family have served in the armed forces. She’s just returned from laying a wreath at Villers-Bretonneux in their honour, as part of the 2018 Anzac Day ceremony. “My interest was sparked by my Mum. All my life she told me the stories of family members, because there were so many of them, who went to war and never came back – uncles and great uncles. There was more than one family with 4-5 sons in WWI,” she explains. Kaye’s efforts have been supported by the Sandgate Naval Association Sub Branch and the Anzac Day Commemoration Committee. Ninety people attended The Ridge’s service, held to coincide with the anniversary of the D-Day Normandy Landings in 1944. It involved representatives of the three armed services and Commander Daryl Nield, OA, from the Committee, delivered the main address. Residents from The Ridge read poems and sang hymns and the national anthem. 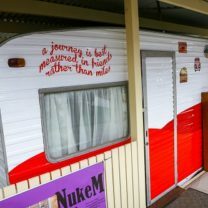 After the formalities, guests were treated to a lunch in the Community Hall, which had been converted into an army canteen and decorated with war memorabilia borrowed from the committee. They were entertained by residents who sang wartime songs. As they left, former service people and VIPs were presented with care boxes, similar to those given to soldiers. Inside they held Pears soap, chocolate, matches, (lolly) cigarettes in a Lucky Strike packet, and ‘Bully beef’. There was a photo of the memorial printed as an old postcard, with a thank you message and an Anzac biscuit. Kaye’s next project is to develop the garden around the memorial wall, so residents can use it as a place of private contemplation. They’ll be able to erect private plaques on the rear of the memorial wall. “We need to remember those people who gave their lives for their country. We wouldn’t be living in the country we’re living in now, with its freedom of speech and its freedom of religion, if not for the sacrifices of those people,” Kaye says.